The Clubhouse at New Woll Estate is both friendly and comfortable. Overlooking the 18th hole it provides the perfect venue for golfers and diners. The Clubhouse is home to Hazelknowe Restaurant and Bar, and is open to everyone you don't have to be a golfer. We can arrange catering for parties of all sizes. Please let us know your catering requirements when you enquire about your golf outing. Everyone is welcome to eat and drink here at The Woll Restaurant which provides you with an exceptional venue for all occasions. Whether you are on a golf outing, enjoying a bar lunch or a special dinner we cater for it all. From our famous bacon rolls in the morning through our exciting and extensive lunch menu to fine evening dining in one of the Borders most stylish settings we hope you will enjoy your visit. 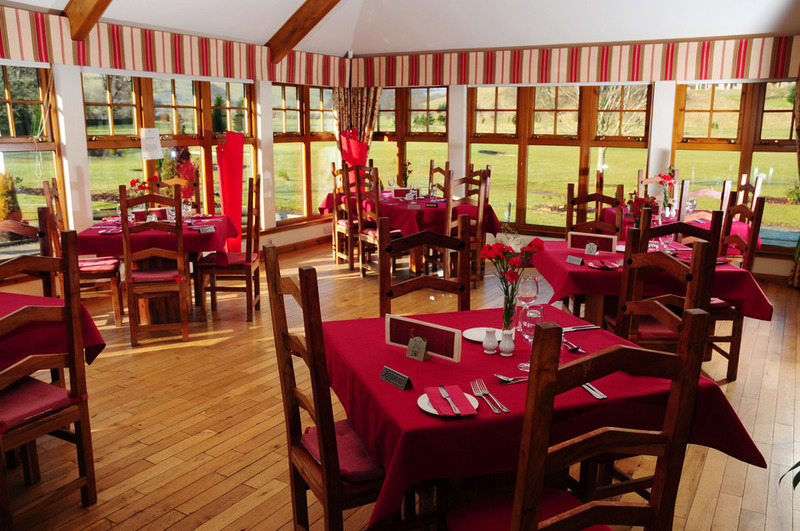 Our Head Chef and his team present meals of the highest quality throughout the day and using fresh local produce an exceptional A la Carte menu with a variety of Scottish and International Dishes to suit everyone. Come and join us for a meal or drink and savour the relaxing atmosphere. We serve a wide selection of Single Malt Whiskies and some of the most popular blends of Scotch Whisky. Few things are more enjoyable than relaxing in the atmosphere of the Lounge Bar and sampling some of the famous malts perhaps after a day on the course or after dinner in the restaurant. If you are on a golf holiday in Scotland it wouldn’t be complete without trying some of the local produce!